With the recent news that Big Finish will be wrapping up the Gallifrey spin-off, I thought it was the perfect time to review the first season of the audio series. 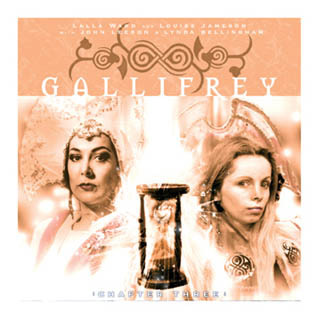 Gallifrey is a time-travelling action-political thriller set on the Doctor’s home planet, Gallifrey. 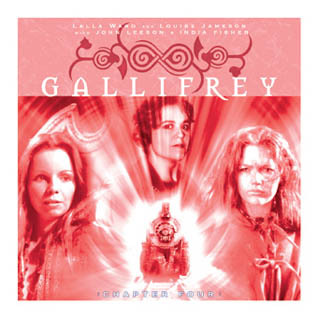 The lead characters are Romana (former companion of the Fourth Doctor and sitting President of the Time Lords), Leela (another Four companion, a noble savage who has lost her Time Lord husband, Andred, between her last appearance in the TV show and the first story in this series), and not one, but two K-9s (tin dog companion robots). Weapon of Choice is the first story of Gallifrey and it does a great job of setting up the new status quo of this series. Romana, Leela, and the K-9s deal with a political conspiracy during a peace conference with several time-sensitive species. Despite a strong “hit the ground running” feel, Weapon of Choice does a lot of great world-building too, which might leave you a little confused, but certainly well-informed of the whos and wheres of the story. 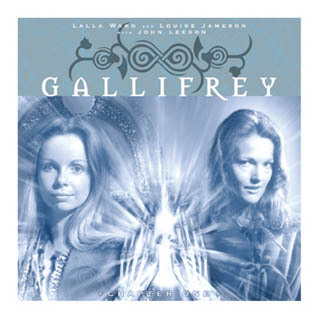 Square One is the next story, which continues the story with Romana dealing with political problems on Gallifrey and Leela and her K-9 working as ill-advised ambassadors to the Time Lords. This story has some funny moments with Leela, but keeps the tension building with intergalactic intrigue around every corner. The Inquiry brings Inquisitor Darkel, a previously unnamed character from Trial of a Time Lord (which we’ve reviewed here before) into the political mystery at the forefront of the series, with Romana on trial for her actions in previous stories. Darkel’s a great foil for the other characters of the series too. This story keeps up the great habit of having basically two A stories (or primary plots): one for Romana and one for Leela, while still pushing a larger story arc forwards. A Blind Eye ends the first series of Gallifrey with a fun, unexpected jaunt to early-WWII-era Earth, featuring the younger sister of Eighth Doctor companion Charley Pollard. But Cecilia Pollard isn’t as nice as her companion sister and hides an agenda of her own (muahahahaha!). There are also some great references to Charley and the Eighth Doctor, if you’re a fan of those stories. A Blind Eye ends the first series of Gallifrey on a bit of a somber note, but it’s a well-earned final moment that left me excited for future adventures. I really enjoyed Gallifrey‘s first season. Personally, I think the only misstep in the series so far is the fourth series, but we’ll get there eventually I guess. If I had to boil it down, I’d call it Doctor Who meets The West Wing meets a classy soap opera. There’s politics, mystery, action, and time travel. It’s like they made an audio spin-off just for me. The show does falter sometimes in establishing some of the world through big exposition and some of the plot doesn’t stick too well with me. There’s also a heavy reliance on past continuity or continuity-based in-jokes (A Blind Eye has a sub-plot entirely dealing with the ramifications of Charley Pollard being a temporal paradox and the anti-Time anomaly her continued presence in time created, for example), so this series might not be entirely new-listener friendly, but I think someone with a keen ear and a WiFi connection to Wikipedia could make heads or tales of it quickly enough. If you want some fun, time-travel mystery-intrigue, I’d say yes. It’s a really fun series featuring some great companions in new adventures. There are also a lot of great big ideas at play here, but the show does a great job avoiding confusion. You can pick up the first season at a discount at the Big Finish For a Fiver sale page. I give it 4 timonic fusion devices out of 5. This entry was posted in Doctor Who Review and tagged audio, big finish, gallifrey, K-9, leela, romana, time lords. Bookmark the permalink.